All clips in this section originate from an Analogue Source dating from between 1996 to 2001. Video files are extremely large and may take considerable time to download if using a dial up connection. 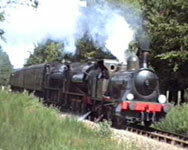 All clips are in Microsoft WMV format and are best viewed using Windows Media Player. My apologies to tablet or mobile users who may experience video compatibility issues. 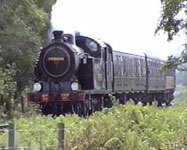 on Sunday 2nd June 2002. 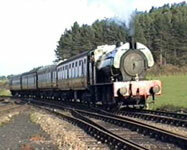 Ring Haw climbs Kelling Heath with the first 'Mince Pie Special' of the day Thursday 26th December 1996. 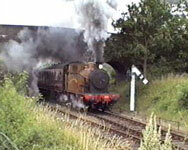 N7 7999 approaches bridge 299 with a goods train on Sunday 9th September 1996. 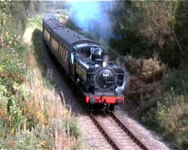 'Bellerophon' & 'Ring Haw' Attacks Kelling Heath cutting with a four coach train on Sunday 9th September 1996. 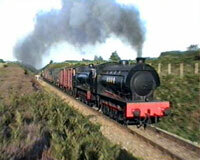 8F 48305 approaches bridge 299 with a goods bound for Holt during the 1996 Steam Gala . Watched by my two young sons. 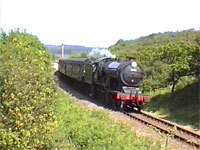 8F 48305 makes her final departure from Weybourne on the 1996 gala weekend . Shame about the flora n' forna! 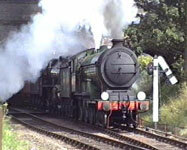 8F 48305 visited the North Norfolk from The Great Central Railway in 1996. 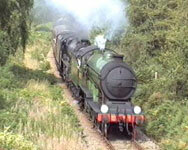 She is seen here racing up the 1/80 towards Holt on the 8th Sept. 1996. 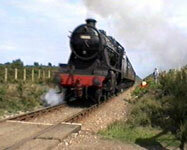 N7 7999 is soon to make a return to traffic at the North Norfolk. 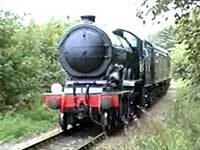 She is seen here at kelling curve after leaving Holt on 8th Sept 1996. 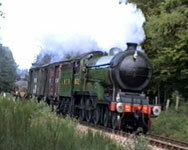 Harlaxton is no longer at the North Norfolk Railway. 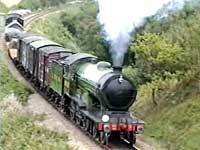 She is seen here Departing Weybourne 31st July 1996.